Weight Limit - 300 lbs. Available Colors: White/White, Blue/Blue, Light Green/Green or Black/Charcoal. Second Location: Add $2.00 per piece. Shipping Weight: Poly Bag, 12 per carton @ 32 lbs. Customized Advertising Foldable Stool Item #HT-7090 (Minimum Order: 24). 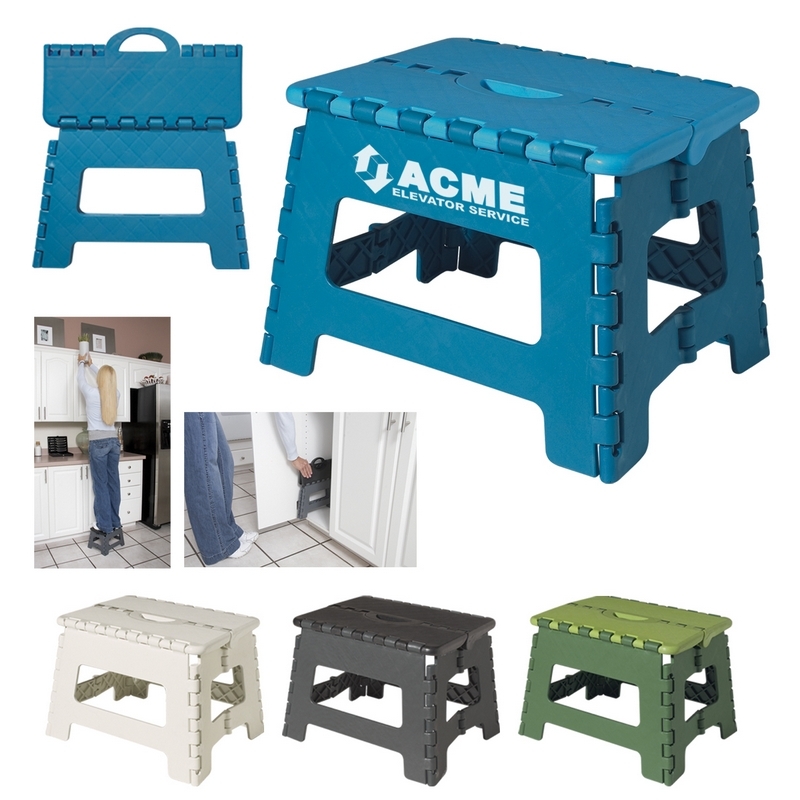 Promotional Stools like the Advertising Foldable Stool can be personalized with your business logo and with No Setup Fees. 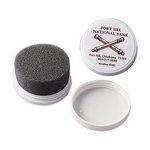 Customized Shoe Shine Travel Tool Item #HT-7100 (Minimum Order: 250). Promotional Travel Accessories like the Shoe Shine Travel Tool can be personalized with your business logo and with No Setup Fees. Customized Kwik-Fix Folding Comb with Mirror Item #HT-7111 (Minimum Order: 100). 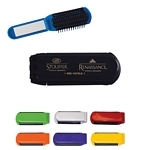 Promotional Folding Combs like the Kwik-Fix Folding Comb with Mirror can be personalized with your business logo and with No Setup Fees. 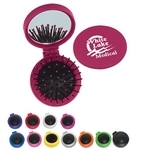 Customized 2 in 1 Kit - Comb & Mirror Set Item #HT-7113 (Minimum Order: 100). Promotional Toiletry Accessories like the 2 in 1 Kit - Comb & Mirror Set can be personalized with your business logo and with No Setup Fees. 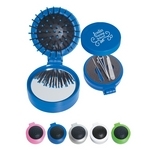 Customized 3 in 1 Kit - Manicure Set Item #HT-7114 (Minimum Order: 100). Promotional Toiletry Accessories like the 3 in 1 Kit - Manicure Set can be personalized with your business logo and with No Setup Fees.